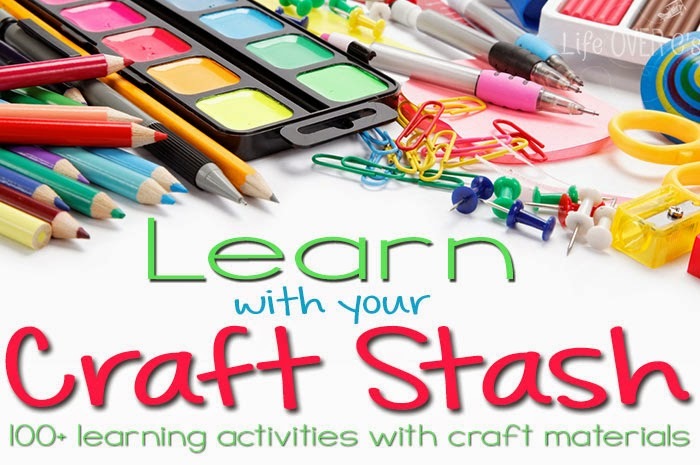 I'm teaming up with Life Over C's to help bring ideas of how you can be creative with your crafty materials in your classroom. I have used a lot of craft supplies in my work boxes especially, because sometimes you just have to get creative with what you have! 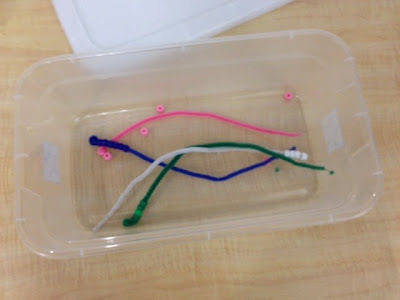 Work Box #1 with Pipe Cleaners: Fine motor and color match. 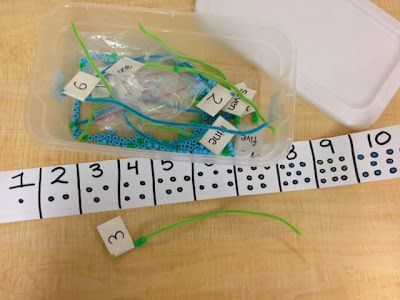 I don't think this one needs much explanation but it's great for simple fine motor of stringing on beads and also matching the color of the beads to the pipe cleaners. Work Box #2 with Pipe Cleaners: Counting 1-10 and fine motor. Very similar to the task above, the student strings on beads, matching the colors, but also needs to string on the correct number of beads according to the flag on the top. The visual below helps students who need assistance counting. Work Box #3 with Pipe Cleaners: Packaging and Counting to 5. Students need to put 5 "fries", aka cut up pipe cleaners, into each fry bag. Print the visual from this post here. 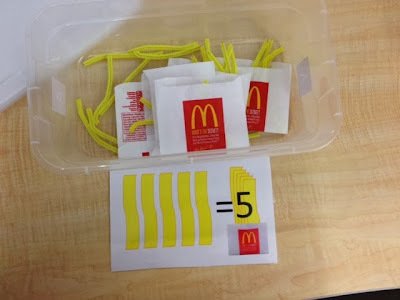 I include the visual for students who need additional support counting or remembering when to stop and put the fries in the bags. Check out my other work tasks posts here! Another use for pipe cleaners in my classroom: They also can make a great sensory item as they are soft, small, and flexible! I need to start using some pipe cleaners! 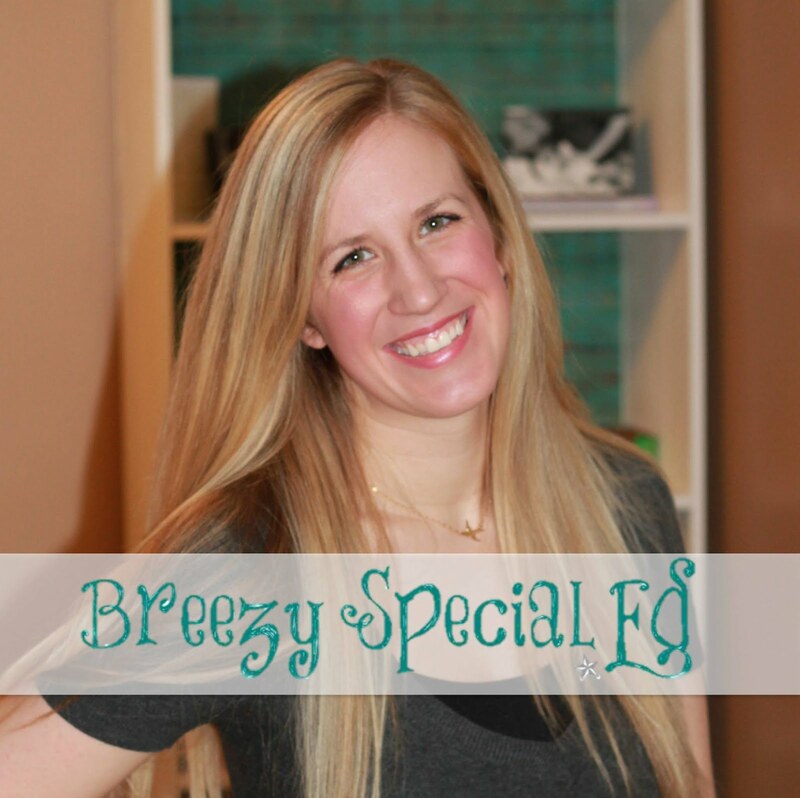 My kids get so excited when I add anything with a sensory component!